I'll help you develop a stronger mindset. I'll help you break down your big musical goals & raise your performing confidence by offering practice strategies, troubleshooting technical issues, working through mental blocks, and giving honest, constructive feedback. 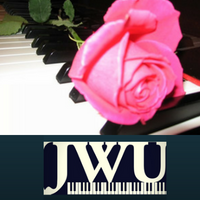 Offering Piano Instruction and one-on-one consulting for musicians. Calling Readers of all ages! In collaboration with co-authors Jonathan Fuller & Kristina Kelly, I completed the 2nd theme for the character Zinvar in their latest Sci-Fi/Fantasy book series, The Etherea Cycle. Read their blog post about it here! Welcome transfer students, college students, older beginners, hobbyists, & those serious about learning new things! Music Questions about practicing, performing or piece requests? Submit them here and I may make a video just for you!